Today we are talking about the Pakistani actor Salman Faisal. 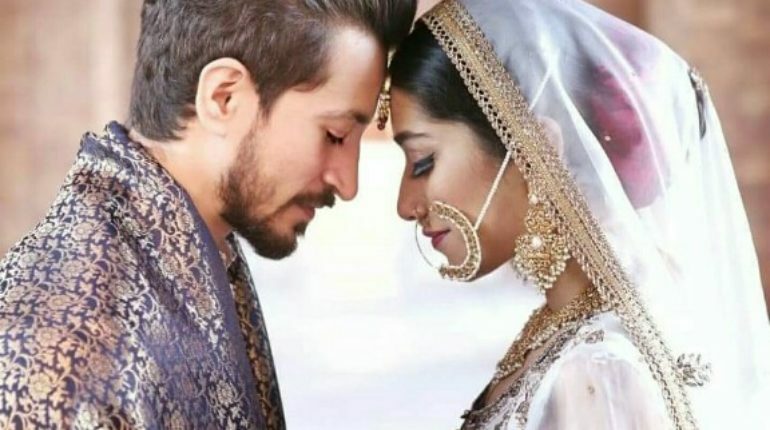 As we all know that Dil Moom Ka Diya serial character of Tipu new Nikkah Pictures are sharing. Through this post we are giving you heartest congratulations to Tipu because salman faisal got nikkah in a small gathering last days. Furthermore, as we know that salman faisal is the son of Pakistan well know TV actresses Saba Faisal. Salman Faisal makes a best/strong appearance in the serial Dil Moom Ka Diya in the role of Tipu. In recent Pictures we can see that Pakistani famous actor Salman Faisal got married and his nikkah ceremony function was held in Bahria Town Masjid (Lahore). Furthermore, in these images we can see that there was a small gathering that was just attended by some close family members only. His wife is not a Lollywood celebrity but she looking amazing many congratulations both of them. Both of them made for each other, and the couple nikkah images we have already share via this post. Through these images, we can estimate that much love each for other. Now, their wedding ceremony new is the main talking of social media and news channels headlines. Many Congratulations both of them.